Why should you go RV around California do you ask? Because it is AMAZING and such a diverse state! 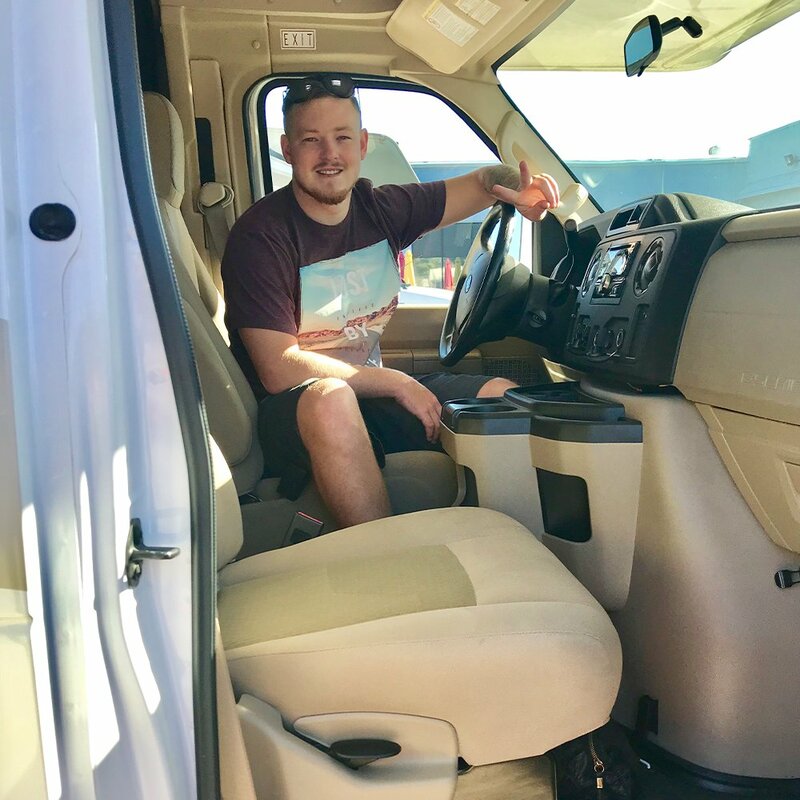 Our dream for a while now was to try out traveling in an RV to see if it was something, we could do long term! 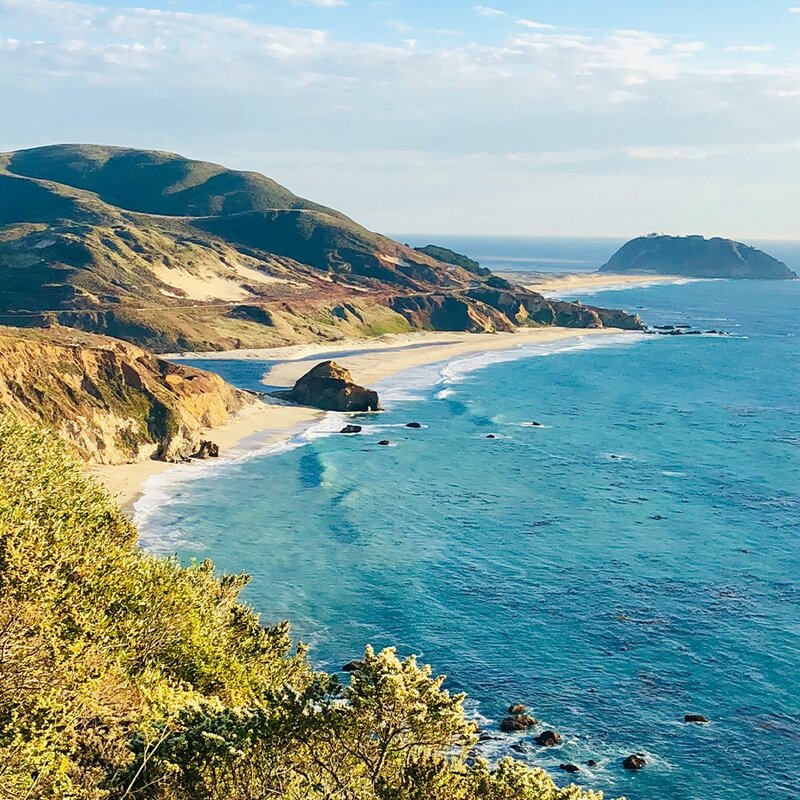 Being that we can work from anywhere and have a love for creating content and exploring we decided to partner with @VisitCalifornia and @Mighway to go on an epic two-week road trip around Northern California. It took months to plan, and a lot of people’s advice and hard work, but it could not have turned out any better! Every day we had a new adventure, visiting some of the TOP destinations Northern California had to offer us. 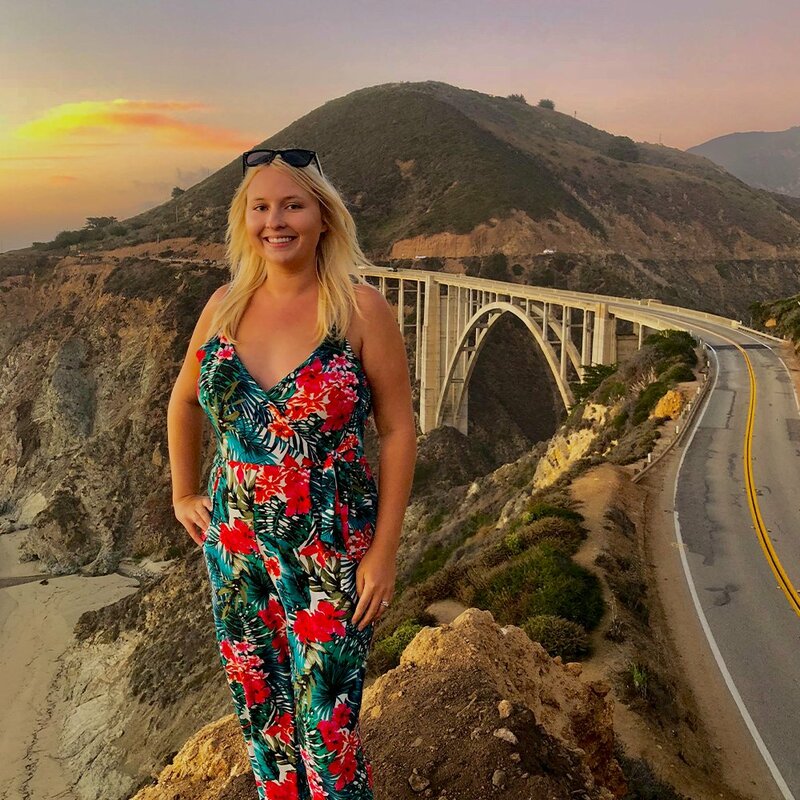 After 1,600 miles of driving in two jammed packed weeks, our hearts were in love with the RV life style and the array of scenery California displayed. 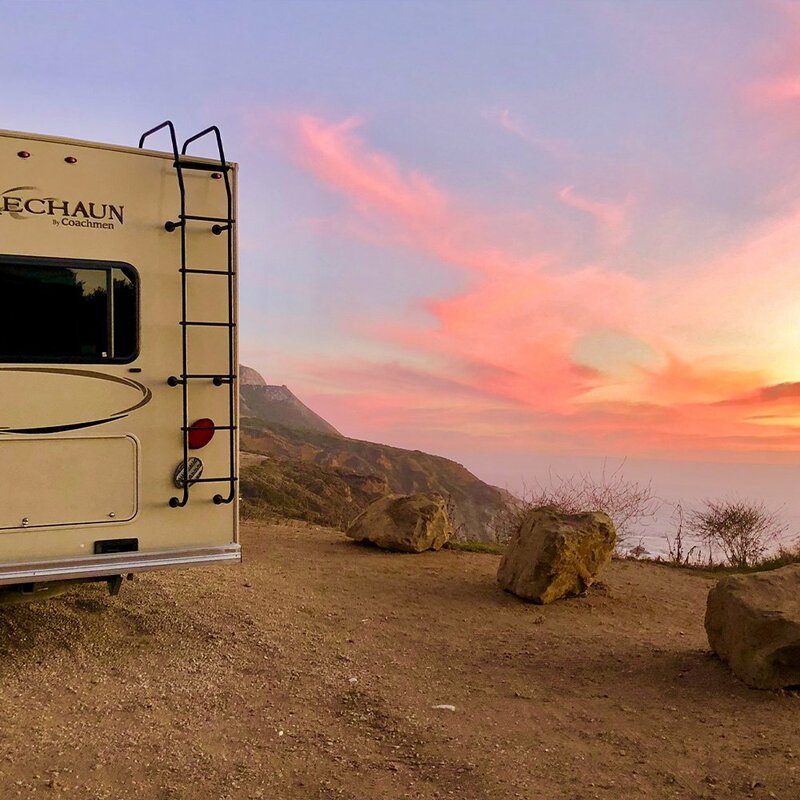 We will give you a rundown of the incredible places we went, advice and tips for each destination, and why you MUST RV around California at least once in your lifetime. The best part is, Mighway is there to help make this dream of yours a reality! 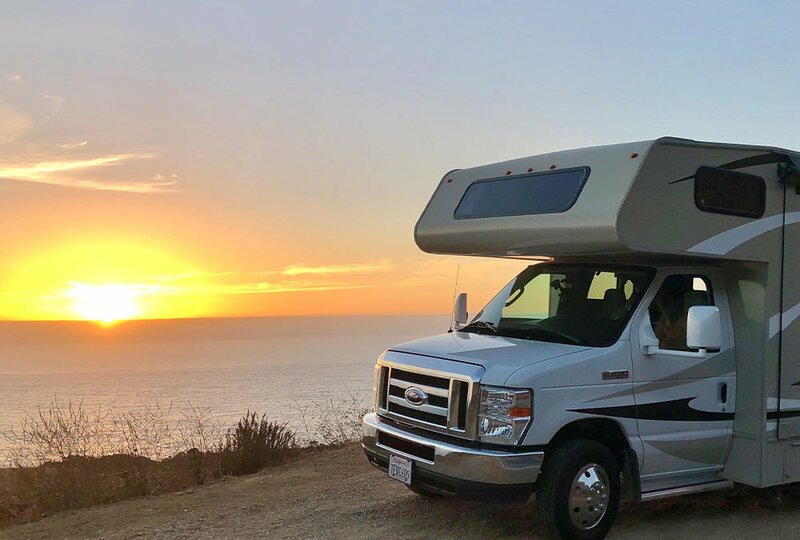 You can go onto their platform and find the perfect RV for you and your friends or family to road trip in throughout the USA and New Zealand. They also offer amazing insurance and road side assistance for that peace of mind while you are exploring all of the beautiful places. Day 1- We landed in San Francisco to perfect weather and an eagerness to get out on the open road. The only downfall was we had to wait until the next morning to pick up the RV as our flight landed late, and we didn’t realize how long it would take to get from one side of San Francisco to the other. As they always say while traveling, always expect the unexpected. We made the most of our 12 hours in San Francisco and went down to the hip area of Oakland for some delicious Indian food at a restaurant called Dosa. We called it an early night as we were prepared to wake up early and get to the RV rental lot when they opened so we could start our adventure! Day 2- We woke up at 7am, hopped in an Uber, and arrived to see our lovely home for the next two weeks waiting for us at the front entrance of the RV rental lot! She was shiny, 28ft long, and looked ready to hit the road! We loaded up our luggage, did some safety briefings, looked through the free food and camping stuff the RV place had, and signed the forms we needed too, meaning we were ready to take off! Our first means of business was to stop at Dollar Tree and Walmart to stock up on supplies and food. As soon as we made those stops, we headed straight for Highway 1 to cruise down the coast to our first campsite for the night, Pfieffer State Park Campground. We stopped multiple times on the way down to take videos and photos at the various pull over spots! We found that, even though we were in a big RV, we were still able to pull over easily! 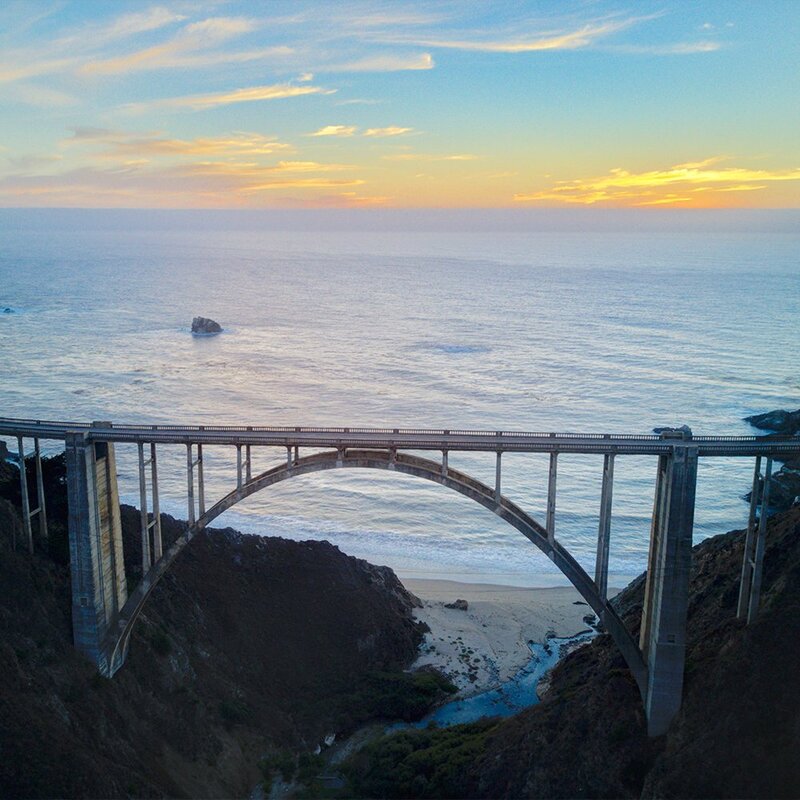 We made it to one of the most photographed bridges in the nation, Bixby Creek Bridge, just in time to catch the sunset. It is one of the tallest single-span concrete bridges in the world and was mind-blowing to see in person. It was the perfect spot to watch the sunset over the ocean high above the cliff’s edge. 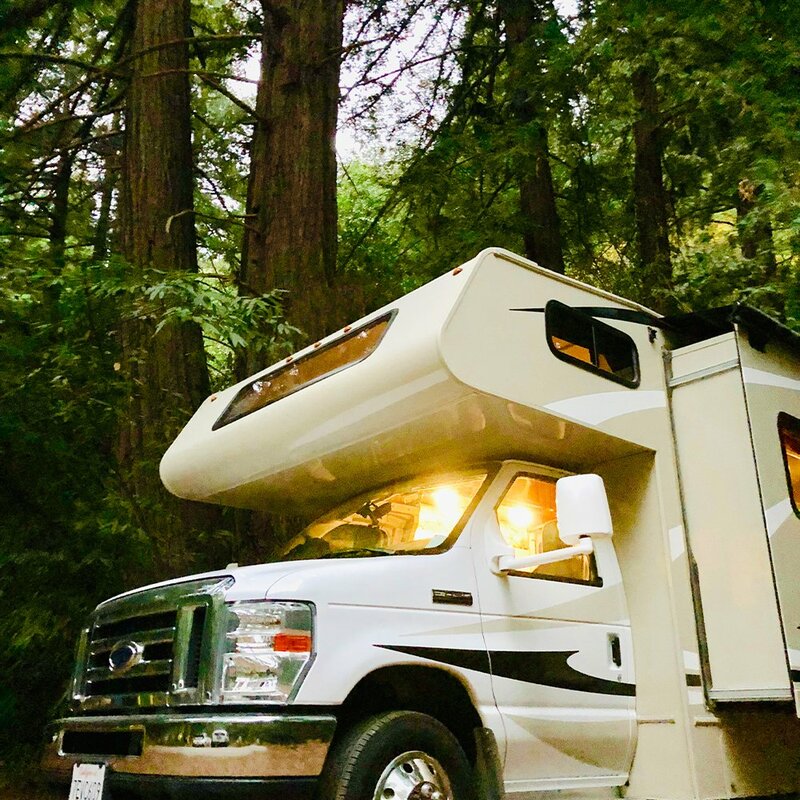 As dusk approached, we pulled into our campsite that had towering red woods all around! It was a spacious, secluded spot that we were able to back up in and get level very easily. We were a bit skeptical, but obviously excited, for our first night in the RV, only because we were new to this! We had never driven anything bigger than a WV Van before. We didn’t want to make any mistakes, even though we watched countless YouTube videos before this adventure to prepare! We didn’t have hook ups, so that was one less thing to set up. We found that, we really didn’t have much setting up to do at all. We just needed to pop the slide out with the push of a button, put the curtains down, set up a campfire, and that was essentially it. I loved the feeling of just pulling up to somewhere beautiful and being able to set up quickly for the night. So, the first day in the RV was a success! 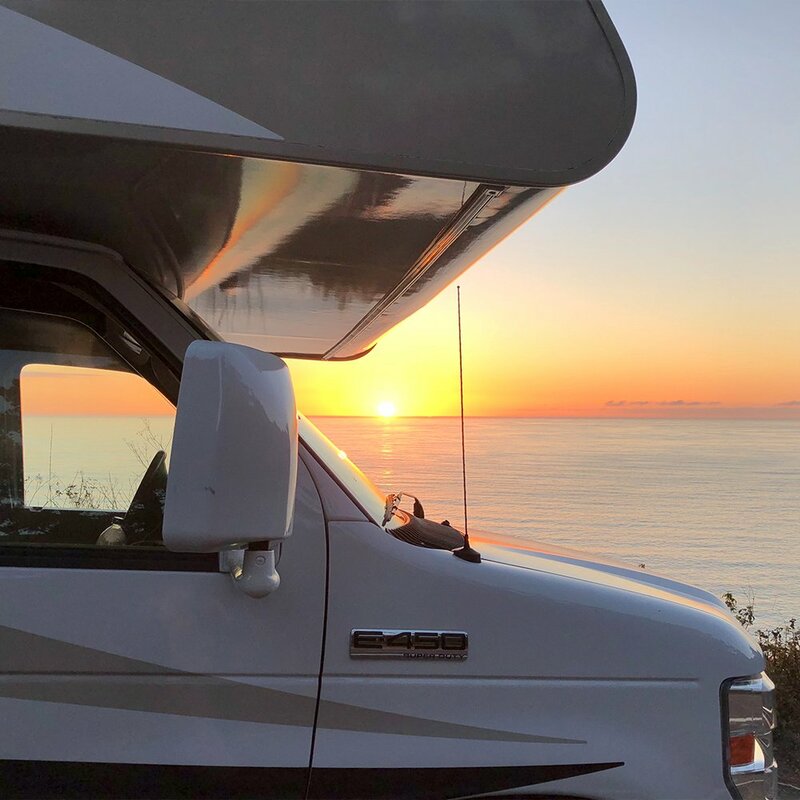 We had an amazing drive down the coastline, got to watch the sunset in a beautiful spot, and our campground was perfect! We had a lot of exploring in store for the next day, so we made dinner on the campfire and had an early night. Day 3- To be fair, we slept great and woke up feeling refreshed. It is always an amazing feeling being able to wake up, look out the window, and see beautiful views all around! Only a short drive from the campground is an amazing restaurant perched up on the cliffside called Nepenthe. We decided to go there to grab some breakfast and a coffee before we start our day. I must say, I was impressed with the quality, but the views are what really sets this place apart! 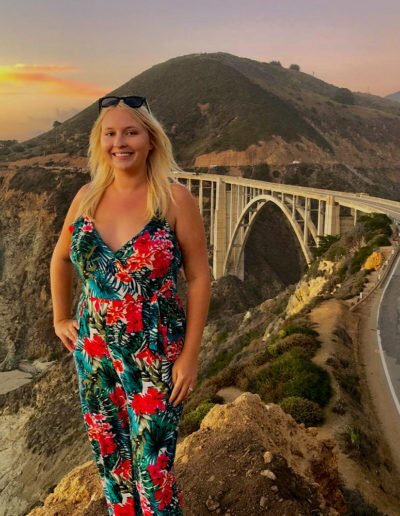 It is just breathtaking to be up on the cliff side with the beautiful ocean down below and the California coastline stretching for as far as you could see! 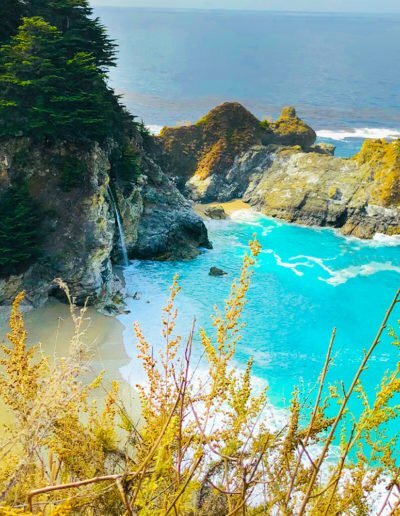 Our plan for the day was to go explore Pfeiffer Beach and Keyhole Arch, and then go to McWay Falls. Unfortunately, the beach was closed that week for road repairs, and the other downfall was there was no way we could have driven our RV down the narrow road. We had planned to spend a fair bit of our time there that day, so we had to do what we do best, which is find the next best place to visit. We ended up exploring the trail to McWay Falls, only to realize that trail was also under maintenance, so we were only able to walk about 0.2 of a mile. 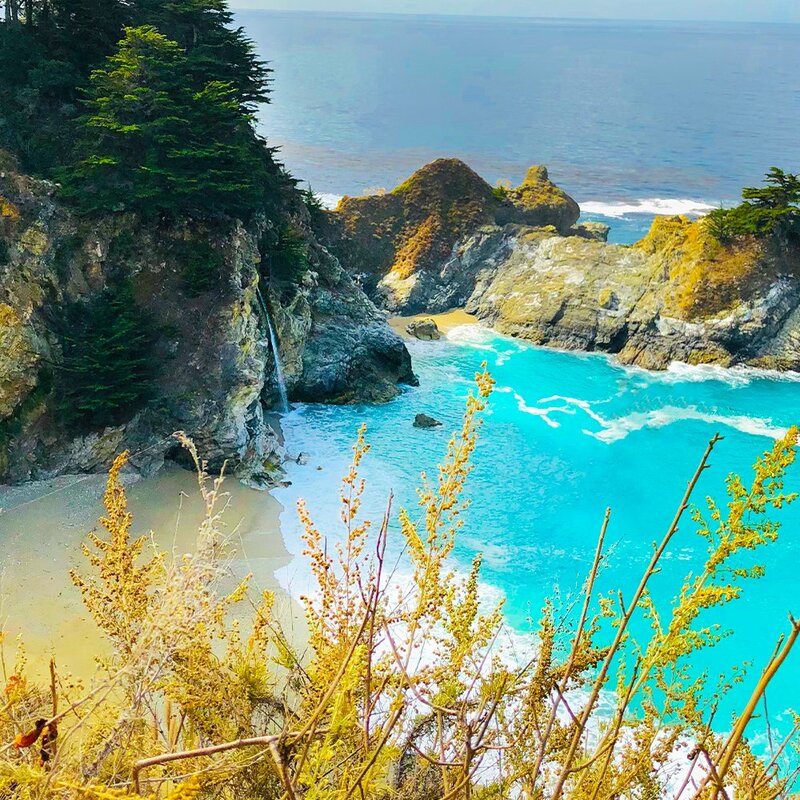 The good news is we were able to see McWay Falls and it was flowing directly into the ocean just like all the magnificent photos you see of it. The water was a Gatorade blue, and the beach looked so peaceful since people are not allowed to go on it. 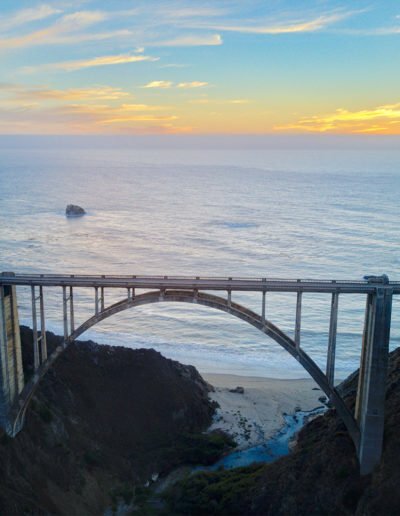 It is a sight to see, and a must stop when driving down the Big Sur Coastline. We still had half a day left to explore at this point, so we decided to drive back up North to Andrew Molera State Park to do an easy 1-hour roundtrip hike to the beach. It wasn’t the best beach California has to offer, but it was nice to sit and relax there for an hour or two. You could spend a lot of time here exploring. We decided we wanted to head back before dark to enjoy the sunset at the campsite. The rest of our night was spent cooking on the fire, and stargazing! 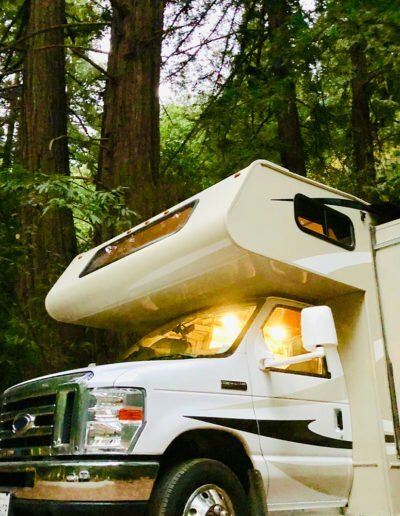 RV Tips For Mcway Falls- Be aware if you are in an RV that is over 25ft that parking at the trailhead is very limited. We got very lucky on the spot we found. Right across from the trail is a dirt pull over that is big enough for one RV, so if you are lucky you might can score that spot. The good news is, there is a turnaround spot not too far down the road that RV’s can park at, but it is a little bit of a walk to the trailhead. Also, it seemed to be one of the busier trails we walked, so in the summer I advise to try not to take an RV here if possible as it might be a headache. 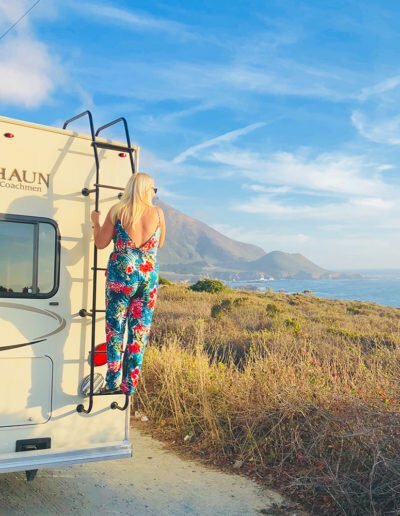 RV Tips For Pfeiffer Beach- The road looked way to narrow to take a RV down, so we didn’t even think of attempting. You are NOT allowed take a RV down to the beach from the signs we saw. Unfortunately, the road was closed when we went so regardless, we would have not been able to visit the beach. Day 4- It was time to move campgrounds today to Fernwood Campgrounds for two nights. It was only 5 minutes up the road, so not a far trek at all. 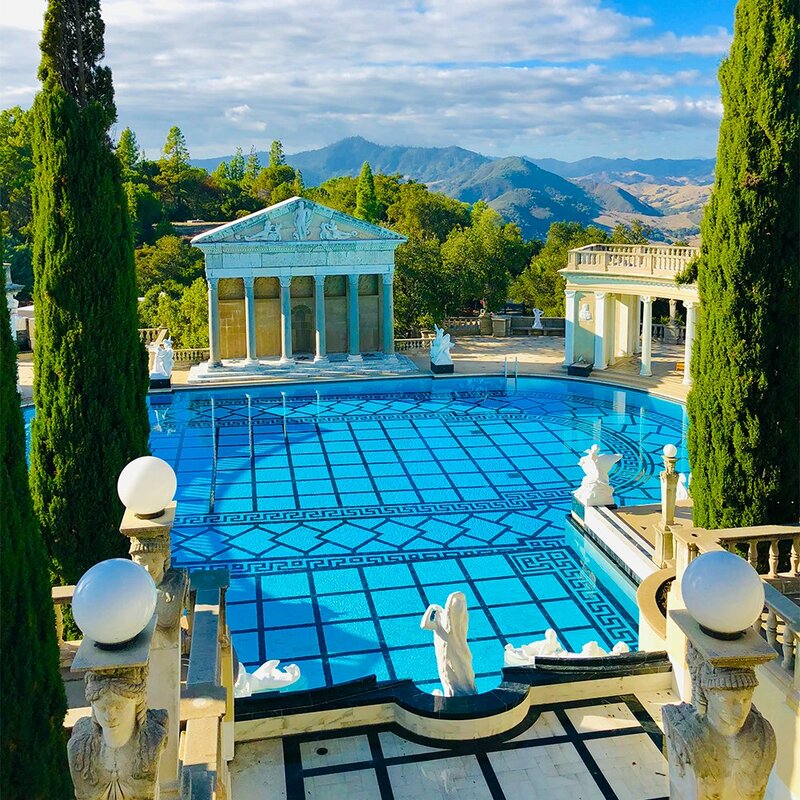 Our plan for the day was to drive the coastline further down to Hearst Castle to go on two tours of the property. 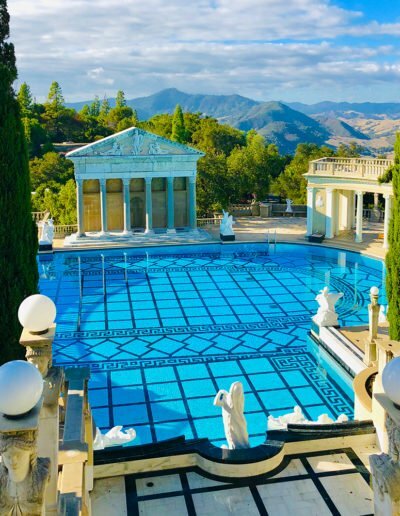 If you have never heard of the Hearst Castle before, I suggest you go Google about it. You do not want to miss this beautiful cliffside castle. 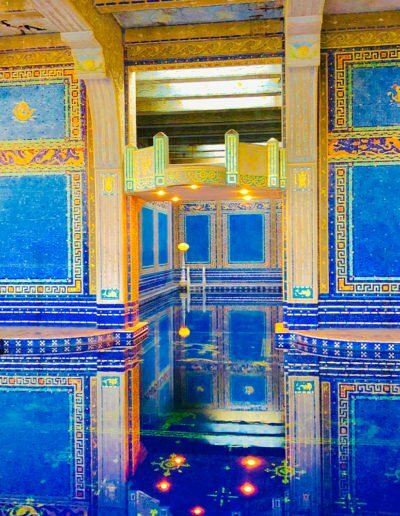 They have some of the most unique and exquisite collections I have ever laid eyes on. From the geometric architecture to the priceless paintings surrounding the walls, everywhere you looked was something to be in awe about. We went on the Grand Room and Upstairs Suites tours, however, there are several tour options to choose from. Each tour took about an hour and included an awesome guide to tell you the history of each area. After the tours, you are able to freely roam around the gardens and pools. We were the last ones to catch the bus back down to the parking lot. We could have easily stayed another two hours exploring and taking photos. If you are a photographer, you are going to love this place! It is a photographer’s dream as it is so photogenic everywhere you look. As the sun was starting to set, we headed off back up north two hours back to our campground. 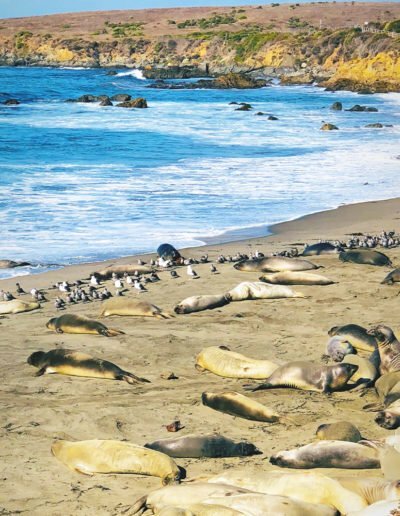 We decided to stop and watch the sunset at the beach where you can view all of the seals and elephant seals at Point Piedras Blancas. 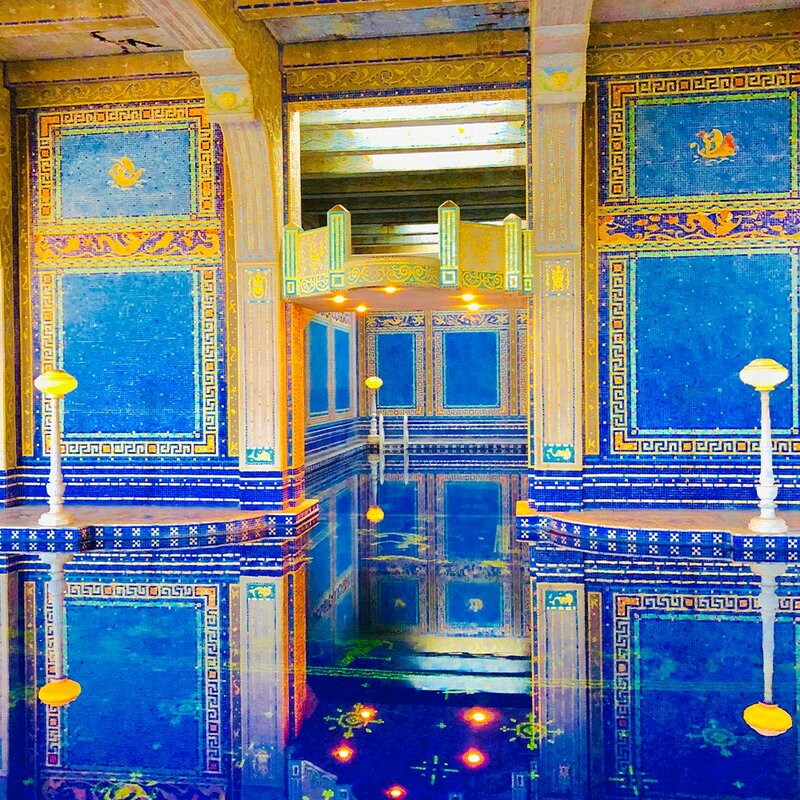 There were hundreds, so it is totally worth a stop as it isn’t too far from Hearst Castle! We had to drive Highway 1 back to the campground at night, and the roads were narrow, on the cliffs edge, and very dark. Our best advice is to take it slow. Highway 1 is not impossible to drive in an RV, which a lot of people are always asking. It is quite RV friendly, but you just have to take things slow and enjoy the amazing views! We were exhausted by the time we pulled into the campsite as it was almost 11pm. Since we got there so late, there was only a list with names on it with what campsite was whose. The entrance to the campground was tight for a 28ft RV, and the site wasn’t the easiest to maneuver into, but we managed for the night. This is why we suggest getting to campsites while it is still daylight. 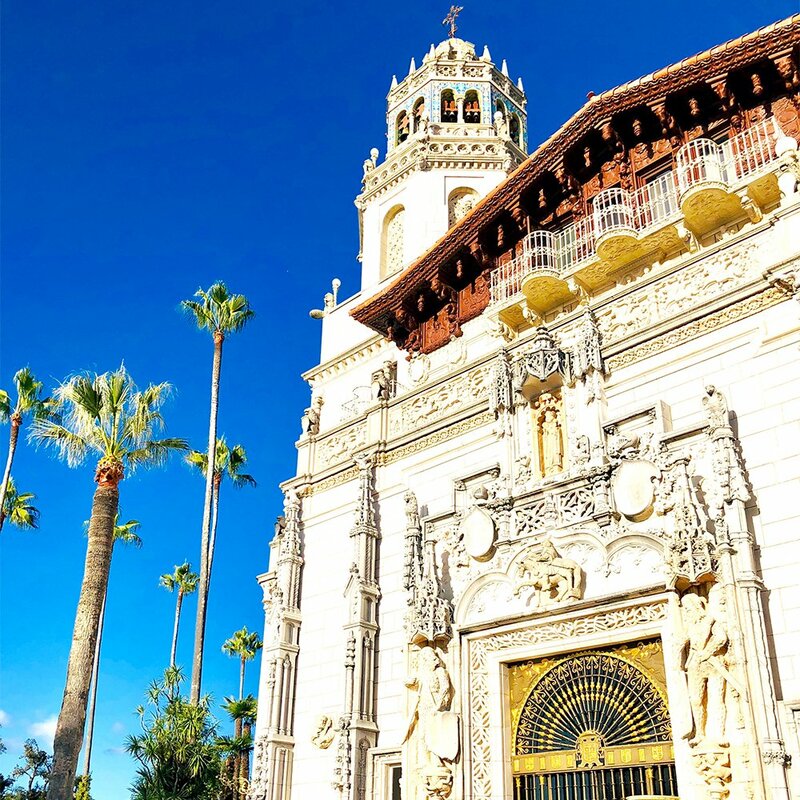 RV Tips For Hearst Castle- The parking here is AMAZING and very well organized. There is a lot spots strictly dedicated to RV’s with tons of room. 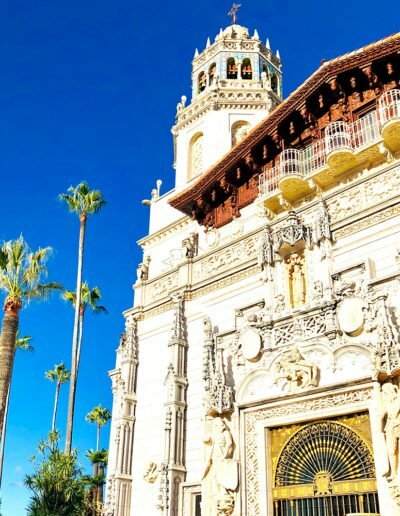 You are then bused up to Hearst Castle. All up the bus ride takes about 15 minutes. On the way up you learn the history of the castle while having amazing views of the ocean the entire way up the mountain side. 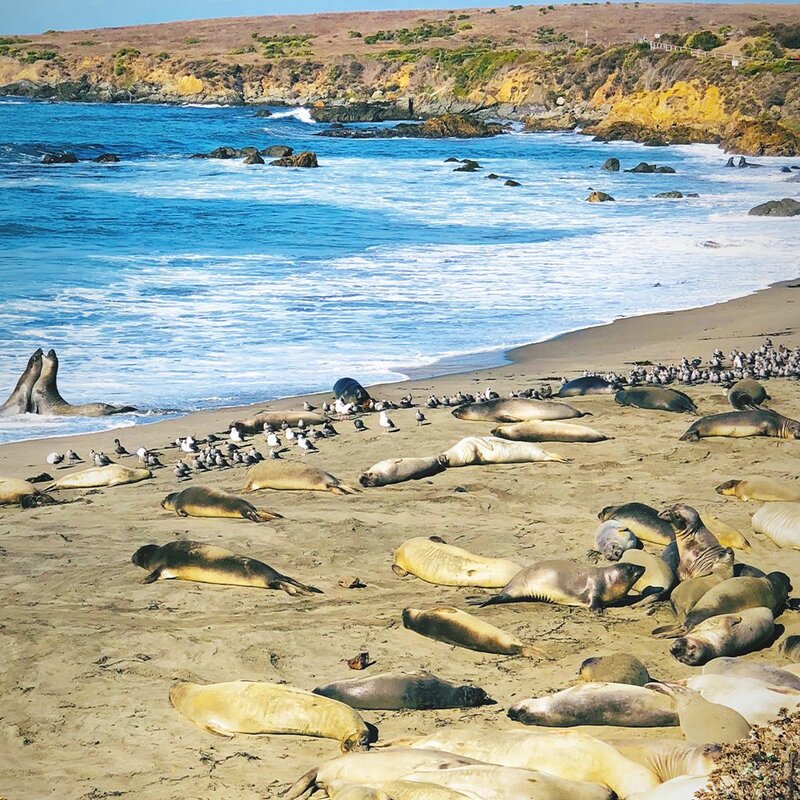 Also, if you decide to stop and check out the seals and elephant seals, there is a big parking lot with tons of room for RV’s! Day 5- We were surprised when we woke up at the views since we couldn’t see much of the site when we arrived. The site had river views, with tall red oaks surrounding, so it was perfect. Today’s plan was to go explore Monterey Aquarium, Fisherman’s Wharf, and Cannery Row! 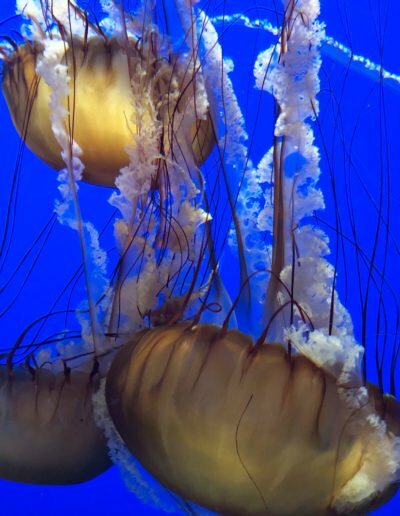 We started at the Monterey Bay Aquarium which is located in the heart of Monterey right on the beach. We zig zagged our way through all of the fascinating exhibits stopping and learning about the different creatures along the way. The aquarium was massive and so impressive! 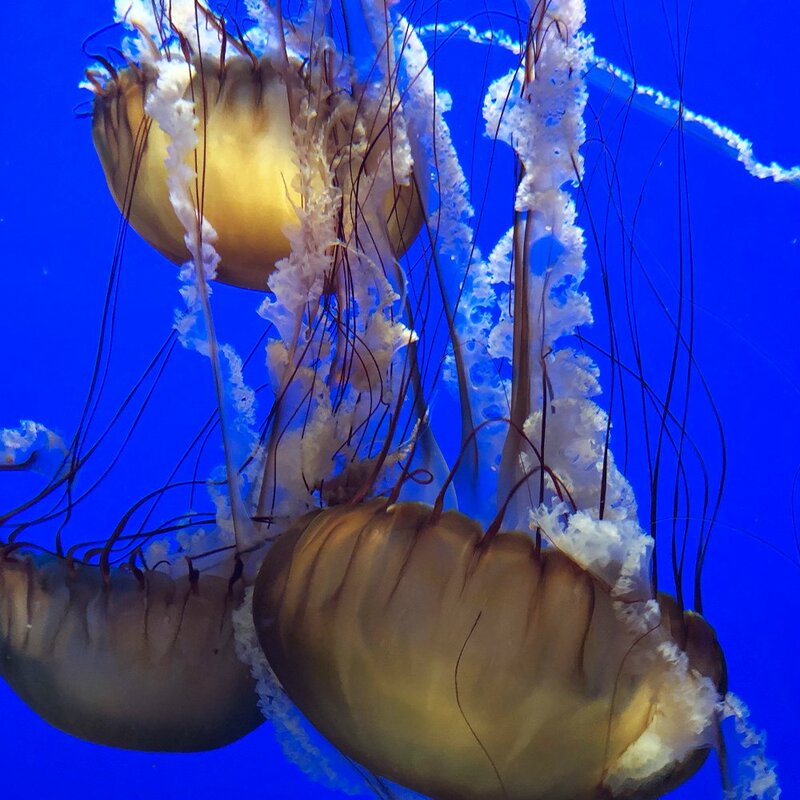 By far my favorite area was the jelly fish exhibit. They were so colorful and diverse. You can easily spend 2-4 hours wondering around here. After exploring for a bit, we built up an appetite and decided to head for lunch. Fisherman’s Wharf is famous for clam chowder, so of course, we had to go do some sampling. Every restaurant is trying to lure you in with their clam chowder. Neither of us had tried it before today, so we knew this had to be on our bucket list of things we tried. It is different, but the flavors with the clams’ and the thick soup worked great together. We found a restaurant that had marina views and got to sit right by the windows to watch all the sea life play. We watched the seals swim around, the pelicans chilling on the ledge in front of the window, and some otters making a splash. It was like lunch with a show. We decided to do a little bit more exploring around Cannery Row as there were some cool shops to check out. 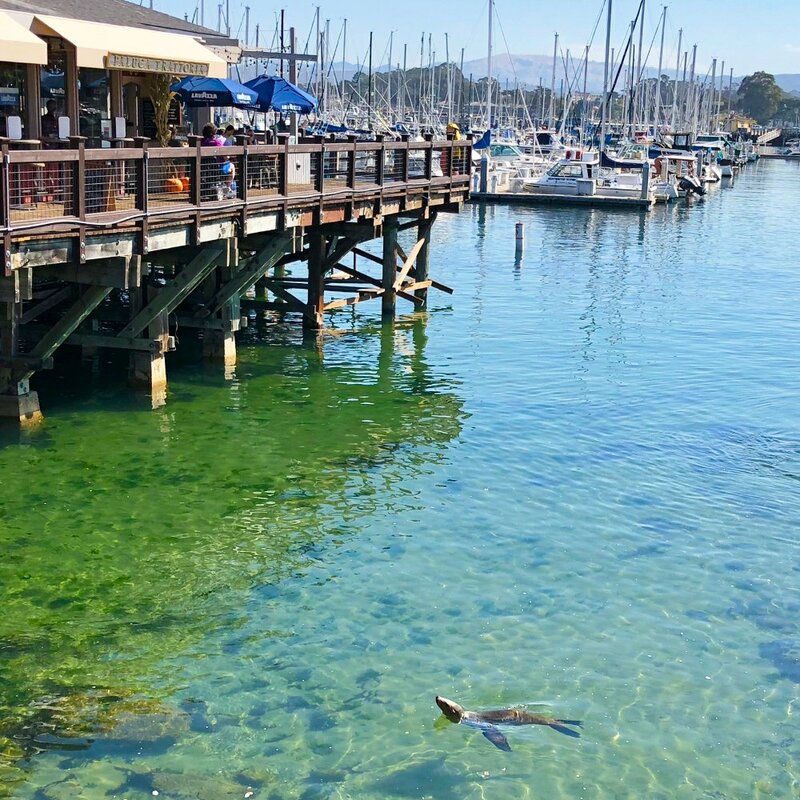 Monterey is a must stop when visiting California. 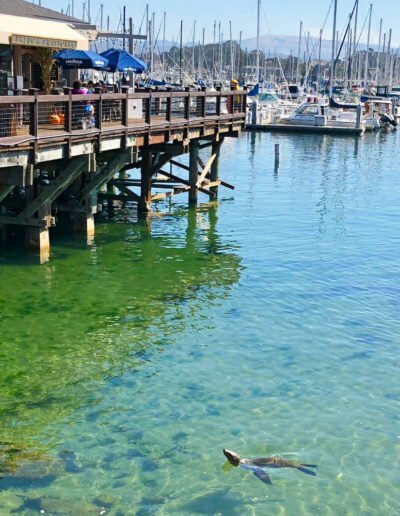 If you are looking for a relaxed beach town with lots of fun things to do and see, then this is it! We headed back to the campground in hopes to get there in time before sunset as we wanted to have the proper amount of light to set up camp and get level. We had delicious camp fire hobo packs for dinner with steak, potatoes, carrots, and fire steamed broccoli. The rest of the night relaxing by the fire with the calming sounds of the river down below. Day 5 of exploring was a success! 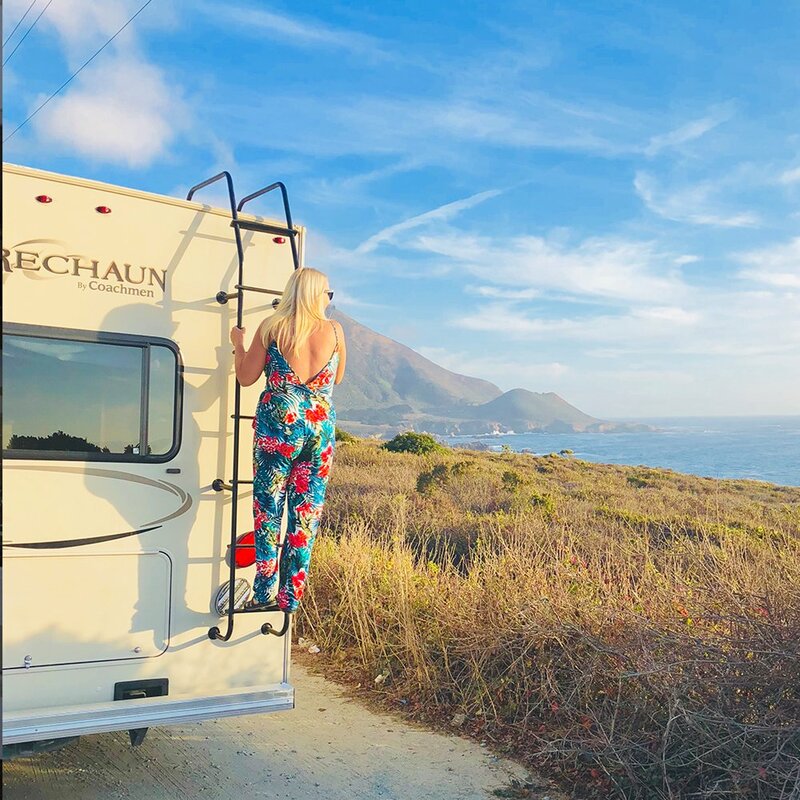 RV Tips For Monterey Area- There are RV parking lots in Monterey which make this area super easy to explore in an RV! Day 6- Since we wanted to see the best that Northern California had to offer, that meant we had to drive. All up, we driven about 700 miles so far. This day was the day we had planned on being strictly a driving day with a few stops along the way. 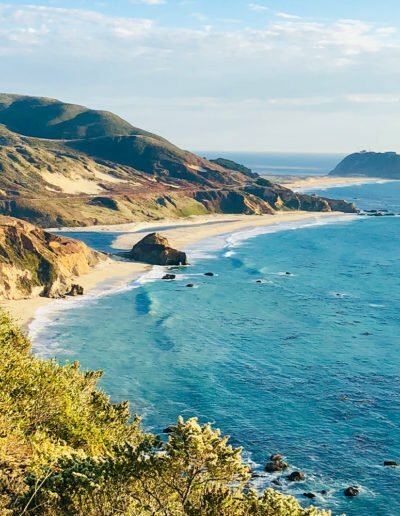 We were headed from Big Sur down the coastline, again, then heading inland to Bass Lake at Yosemite RV Park which was about a 6-hour adventure away. Even though it was a long drive, we decided to make a fun spontaneous day of it. We stopped at the seals one more time since there was easy RV parking available, and because they were just so cute to look at! 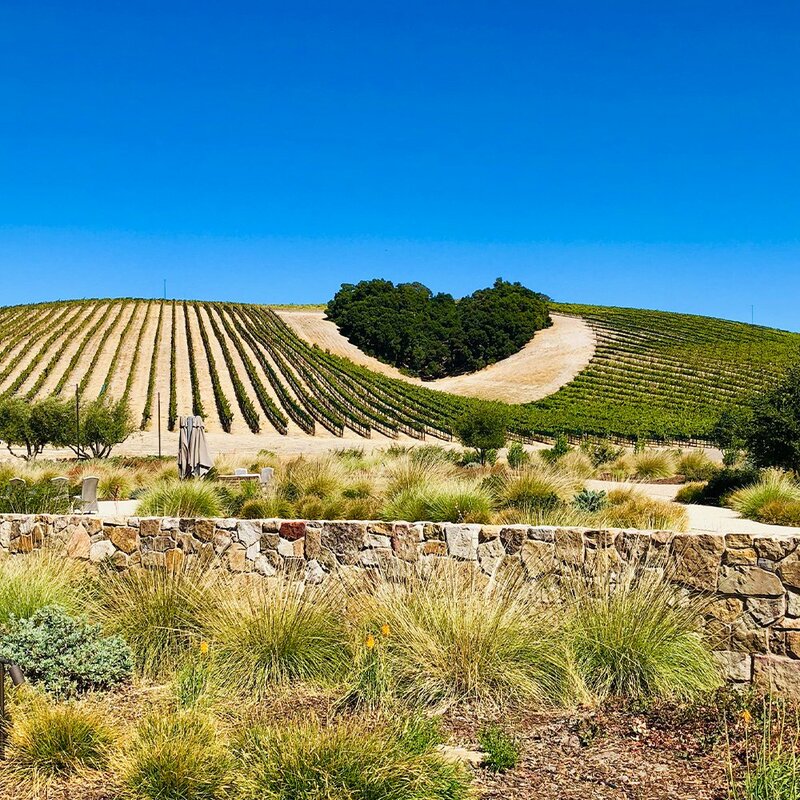 As we were driving inland, we came upon a stretch of wineries. Of course, me being a wine connoisseur, we had to make this random unplanned stop! 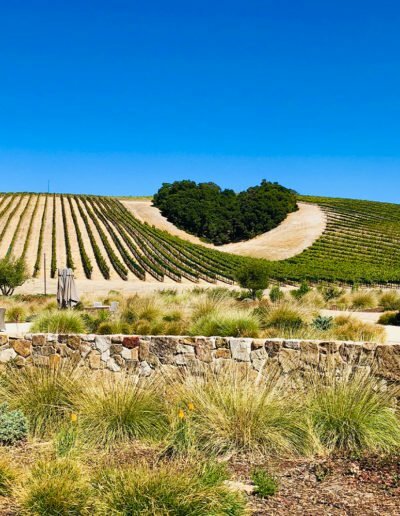 We saw a beautiful winery with lush green vines in the shape of a heart and knew that was the one we needed to stop at. It was called Niner Wine Estate and it was stunning inside and out. We decided to share a wine sampler for $15, which was totally worth it. We found a Pinot Noir we liked and decided to buy a bottle to add to our collection of wines from around the world. On the road again, we went heading towards South Gate Brewery for a reserved dinner. 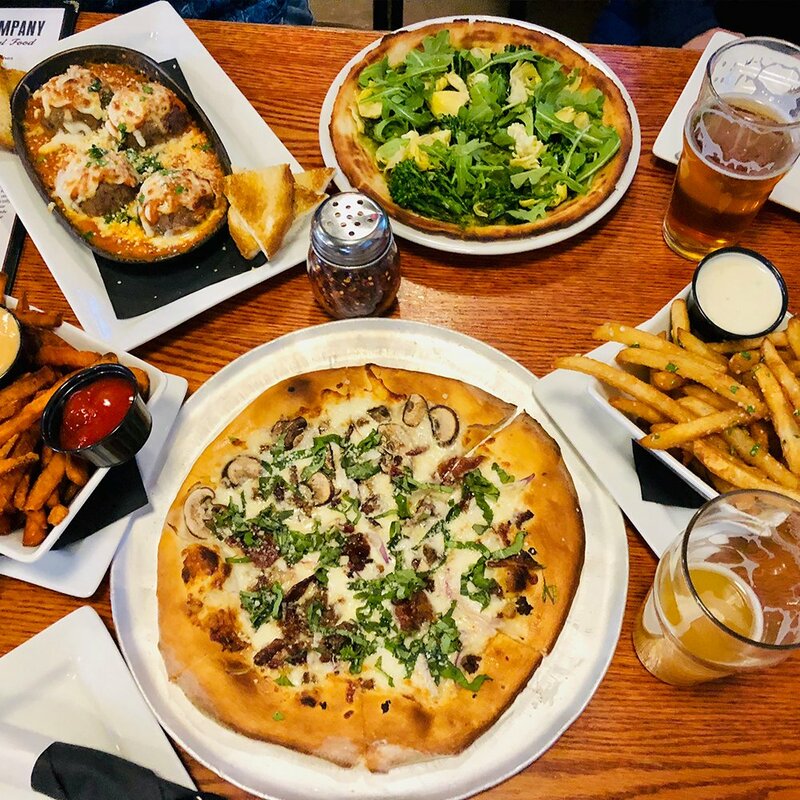 We were spoiled with amazing pizza, ramen, meatloaf, and so much more when we arrived. 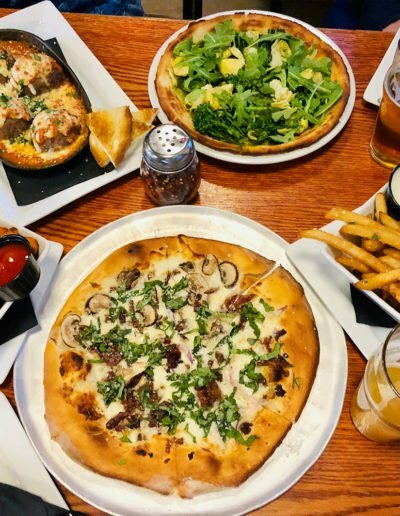 We were blown away with the great beer and first-class food. We were so full and tired after a full day of driving, that we pulled up to our camp ground and passed out almost immediately. We luckily were parked on concrete slab that was level, so it was a fast and easy set up that night. Day 7- Our stay at Bass Lake was very short, and we wish we could have stayed longer to explore the area, but we only stayed here less than 12 hours. 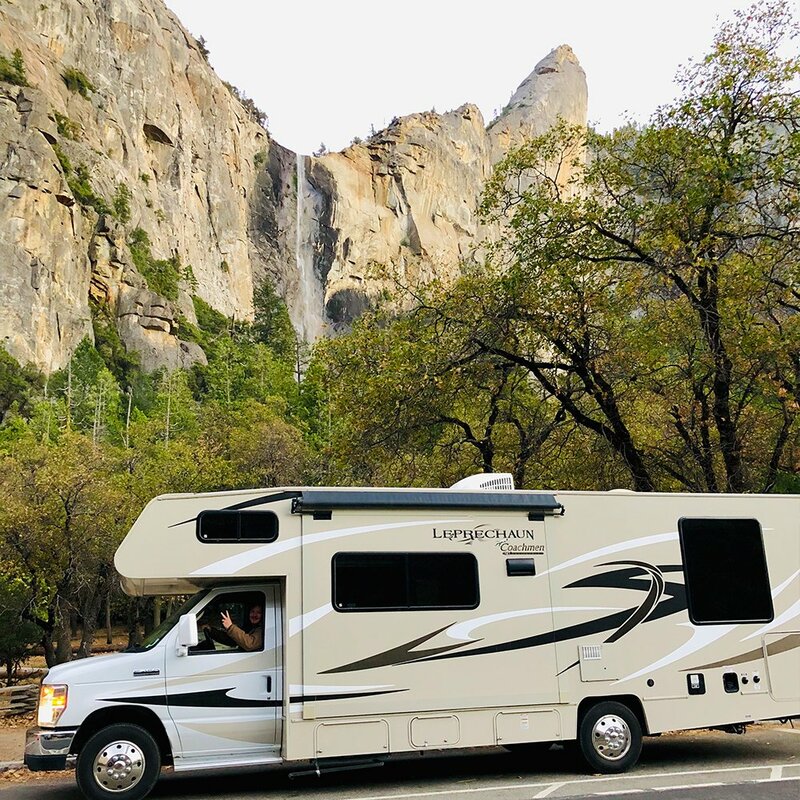 We got very lucky and scored two-nights camping inside Yosemite National Park, at Hodgdon Meadow Campground, so that is where we were headed next. 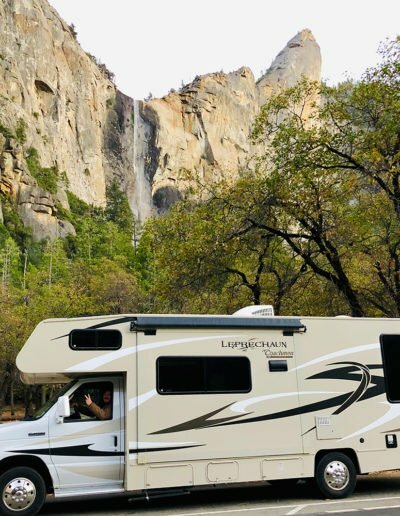 Our best advice is if you want to get a camping spot in Yosemite National Park is you better book MONTHS in advance as spots fill up very quickly. We got up early as we had a lot of driving we wanted to do today. We hit the road and found a pull over spot with amazing views of Bass Lake to cook breakfast too. It was so peaceful and serene making it the perfect way to start the day. Our next destination that we wanted to explore was a 100-mile stretch of road going through the Sierra National Forest with breathtaking vistas, panoramas, and unique rock formations called the Sierra Vista Scenic Byway. The Mile-High Vista point was one of our favorite stops along this drive! It had amazing views as far as the eye could see. There are so many awesome stops you can make along this beautiful drive in the mountains. From here, we headed onward to Mariposa Grove which is located at the southern entrance of Yosemite. 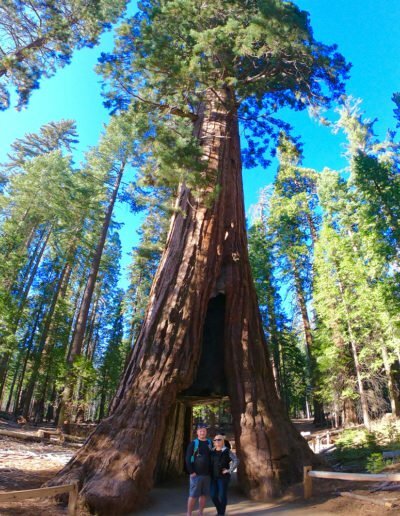 It is home to over 500 mature giant sequoias trees. They have offer free shuttle buses that take you into the park to where the trail head begins. 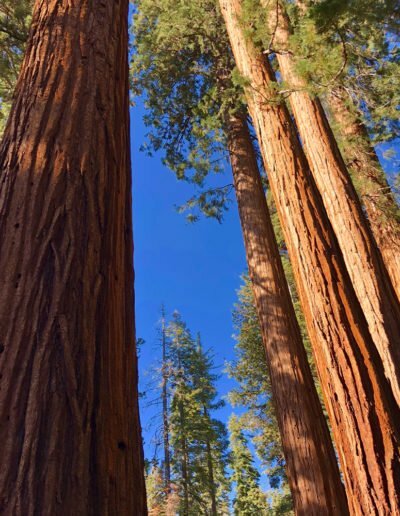 We were amazed to see these giant trees before our very eyes! We decided to take the Grizzly Giant Loop Trail which was approximately 2 miles long. 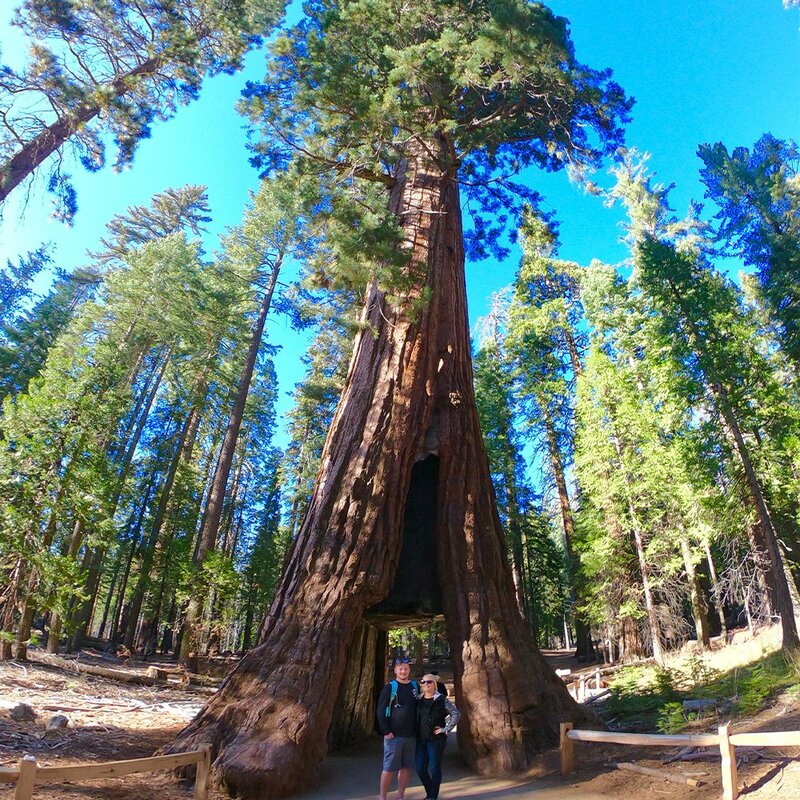 It begins at the Mariposa Grove arrival area, and takes you past the Bachelor and Three Graces, the Grizzly Giant, and California Tunnel Tree. We found it to be a very easy trail, with breathtaking views of the Mariposa trees everywhere you looked! We recommend 1-3 hours to fully explore this area. After our hike we headed to Yosemite Valley to catch the sunset. This is where you will want to be when the sun is setting! The cliffs take on this beautiful golden red color and is one of the most amazing sunsets to view. We got there in the perfect amount of time to see the colors transform in front of our eyes! After watching the magical sunset, we decided to pull over inside the park to cook up some Mexican food for dinner! 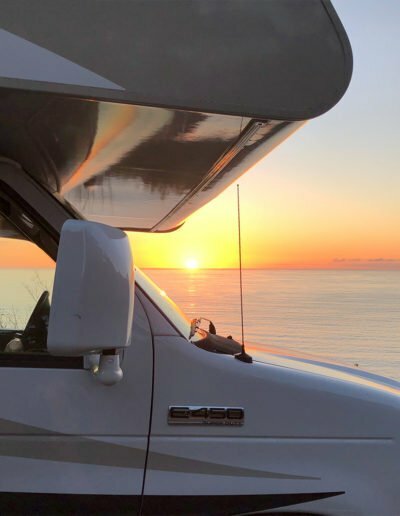 Again, the best part of an RV is being able to pull over anywhere (fingers crossed for amazing views) and cook dinner, sleep, or go to the bathroom. After a long day of exploring, we finally made it to Hodgdon Meadows Campground and called it a night. 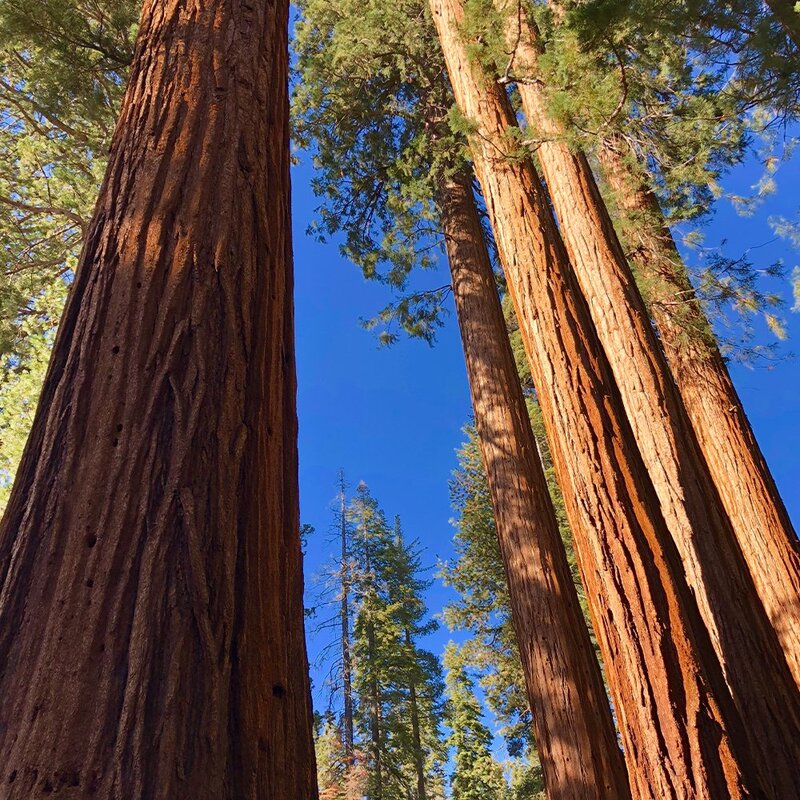 RV Tips for Mariposa Grove- Since we went on a less busy day, we were able to find parking for the RV with no problem. However, in peak summer it may be hard to find parking for RV’s as there is only 300 parking spaces which fill up fast. This is just the first week of our crazy two-week adventure! We have seen and learned a lot about California already and were super excited for what week two was going to have in store for us! Stay tuned for Part 2 of our two week RV trip around Norther California with @VisitCalifornia and @Mighway! 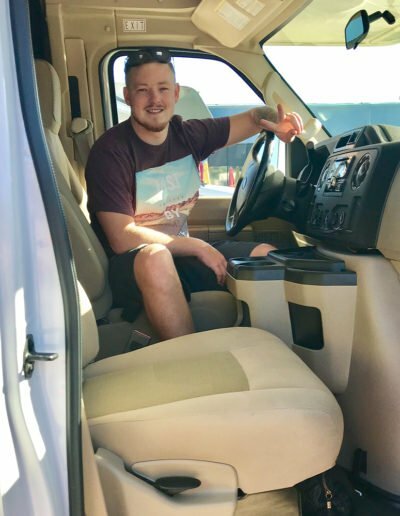 If you rent an RV from a rental location, usually they have a “FREE” section. Make sure to check this out. We got free firewood, plastic plates and cups, and so much more! We easily saved $40! Cook on the fire as much as possible to help save with having to do dishes! Super easy clean up! Make sure you close the refrigerator door before you start driving (Don’t end up like us having to clean up 2 gallons of liquids -_-)! It is best to get to camp sites before dark as it is easier to find your spot and set up. Make sure to keep a little bit of water in the toilet at all times to help with the smell. You can also buy packets you put in the toilet to help keep the smell at bay. Anytime you get to a campsite, try to get a map of the area, find out the generator hours, and locate the bathroom/shower area nearest you. Be aware when you pull over or park at how much space you have and if you have to pay for parking. 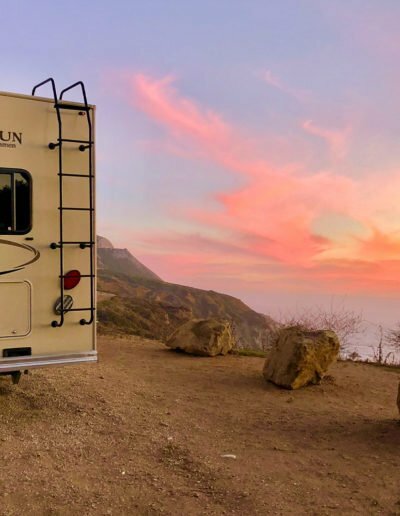 A lot of the beach cities have paid parking lots specifically for RV’s. Do your research prior to your trip if you plan on trying to park your RV in any city area. Sometimes it can be difficult to find parking. Buy two cheap hand-held walkie talkies so you can communicate with the driver when backing up and trying to pull out. It was such an awesome investment. We used them several times during our trip. Sometimes the best spots are the random pullovers you make!